A bulging disc is for all intensive purposes, the very similar diagnosis to a herniated disc. This is a very subjective thing. 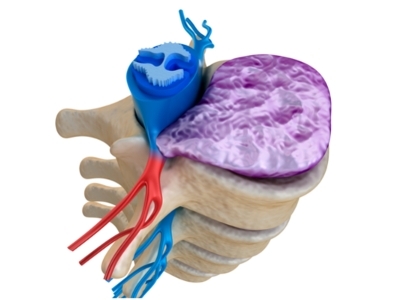 A bulged disc can be a very common thing, again with some being painless and others creating pain. In our opinion, it seems more likely that a herniated disc will cause more arm and leg pains as the term herniated is used to describe a bulging disc that is more severe than another that may have a smaller bulge. In either case, these disc problems are a result of traumas (old or new) and they make the spine function poorly. This results in further damage to the discs and often this can be associated with more pain and problems. Regardless of the disc diagnosis, the intention of the chiropractic adjustment is to relieve pain and improve the health of the joints by improving the mobility and function of those areas.